Perhaps the greatest challenge we face today, is to understand how the earth´s systems will respond to climate change. One of the top scientists deeply involved in that issue, is Dr Susan Solomon, the 2009 laureate of the Volvo Environment Prize. In expeditions to Antarctica Susan Solomon was able to map the mechanisms underlying the hole in the ozone layer. In recent years, she has led the most prestigious working group within the UN’s climate panel and recently warned that climate change may be irreversible – that is, even if carbon dioxide emissions are stopped, the changes they are provoking can last more than 1000 years. are crucial steps in defining policy options and actions. Susan Solomon’s scientific contributions exemplifies that this type of research can have major impact on global environmental policies. This has already happened twice in her career. the explanation of the Antarctic ozone hole and the fact thatchemicals known as CFC’s were causing it. Susan Solomon’s work with research on ozone depletion was an important contribution to the scientific basis for the Montreal Protocol for the protection of the ozone layer, which led to a global ban on CFC’s just a couple of years later. world, and in 2007, the IPCC scientists, together with former Vice President Al Gore, shared the Noble Peace Prize for making the world comprehend the dangers of global warming. Susan Solomon’s current work involves using advanced models for the earth system and atmosphere and ocean general circulation. In a recent scientific article, she warned that the climate change generated by the estimated emissions of greenhouse gases in the following decades will lead to processes that are largely irreversible, that is, they will last at least 1000 years. This is because the oceans absorb carbon dioxide only slowly, prolonging those processes. “In a simple analogy, our emissions of carbon dioxide mean that we are cranking the thermostat up and that we don’t know how to crank it down again,” says Susan Solomon. system. But perhaps regulations and command-and-control won’t do much good. capacity of an eco-system to cope with shock and then rebuild and renew itself. This is the message from two prominent researchers on resilience, Professor Crawford “Buzz”Holling, who receives the Volvo Environment Prize 2008 in Stockholm, and Professor Johan Rockström, executive director at the Stockholm Resilience Centre, Stockholm University. can be compared to life in a pond. Normally life in a pond ticks over just fine. But the wrong set of circumstances such as a minimal change of chemicals, can all of a sudden trigger an explosion of algae, which then goes on to strangle all other life in the pond. In spite of human attempts to control eco-systems – such as fishing quotas or supervision to protect crops- fish populations suddenly disappear or crops are attacked by insect outbreaks. and interconnected. A small change can lead to rapid changes, says Buzz Holling, a Canadian ecologist and widely regarded as the father of resilience thinking. “Crisis is inevitable”, he says. “This is how eco-systems work”. influence the governance of natural systems. Creating resilience is not about avoiding crisis and rapid changes – that is simply not possible – rather about making sure that the systems contain diversity so that they can recover and rebuild after chock. Rockström. As in any other complex system the instability can spread, and lead to a collapse of the whole financial system. The Stockholm Resilience Centre is doing research on resilience and sustainable development and was founded in 2007 with a grant of 100 million Swedish Kronor (€10 million) from MISTRA, the Foundation for Strategic Environmental Research. Volvo Environment Prize Foundation awards the 2007 prize to a visionary in the field of energy The Volvo Environment Prize Foundation is awarding the 2007 Volvo Environment Prize to Amory B. Lovins, Rocky Mountain Institute, USA, for his exceptional breakthroughs in the field of energy. Over the past 30 years, his contributions have encompassed both new theoretical know-how and practical applications for ways of reducing the use of energy. In order to cut emissions of greenhouse gases and help resolve the climate issue, more efficient utilisation of energy is a vital tool. Amory Lovins has developed a number of groundbreaking technical and economic concepts as well as action plans for various measures. – for a long time been the leading proponent for the view that energy efficiency is the foremost means of resolving the energy issue. – participated in 25 books, written hundreds of scientific and general-interest articles and held thousands of presentations and lectures that put the focus on energy. – shown that climate-related measures can be profitable. In order to win support for his views, he has worked intensively with politicians and key industries and also served as advisor to companies and international organs. – developed a model (Natural Capitalism) that demonstrates that investments in systematic, large-scale energy-efficiency measures promote both resource gains and financial profit. – argued in favour of the USA becoming independent of oil by 2040 through market-driven measures and without this shift impacting negatively on the country’s economy. – developed Hypercar®, an ultra-light concept car with low energy consumption and minimum emissions that was first unveiled in 1990. This concept has since then undergone continuous development by Hypercar Inc. in cooperation with other actors. – for 30 years worked to systematise, develop and introduce new market-driven and financially viable energy solutions that take account of the overall picture and the complexity of the problems involved. The energy issue has been the main focal point and the applications have been shown in spheres such as construction and transportation as well as in a number of other areas. must set the example and reduce its consumption of fossil fuels. This is only possible if we can improve the efficiency of our energy consumption. The 2007 award-winner represents a particularly important area and the Volvo Environment Prize Foundation is particularly gratified that the jury chose to focus so firmly on this issue. Amory Lovins’ views, suggestions and technical solutions have often been called into question at the time of their presentation although time has shown that he leads the way and is a remarkable forward-thinker. Ideas and solutions that seemed spectacular when originally unveiled later gained general acceptance and are standard today. Amory Lovins has dedicated his entire professional life to energy efficiency. His pioneering work has opened the door for others to follow in his footsteps and this has prompted new research areas and practical applications. As the founder and head scientist of the Rocky Mountain Institute he has created a platform for research and interaction that has done a lot for innovation in the energy sphere. 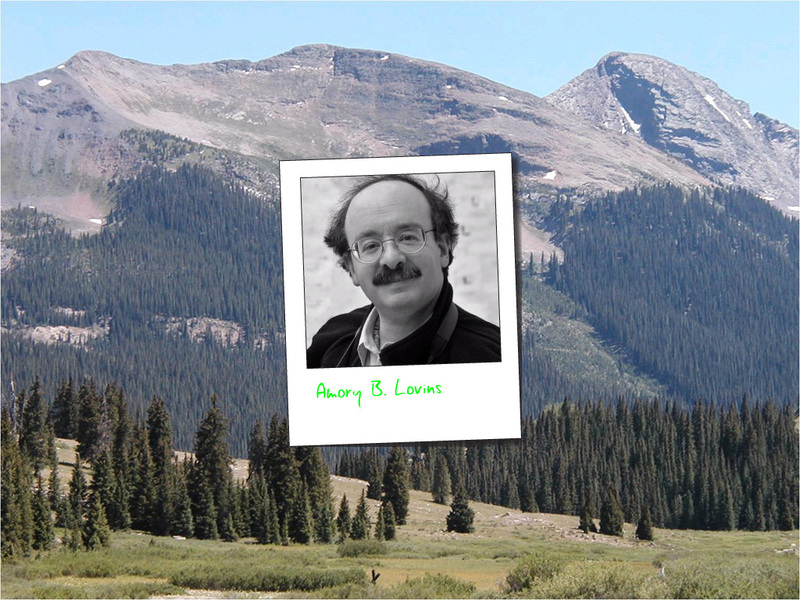 Amory Lovins is the visionary and creative physicist who has long been a leader in the field of energy efficiency and a man who walks the talk. At an altitude of 2200 metres above sea level in a ski resort in Colorado, he cultivates bananas and mangoes – among much else – in the institute’s jungle which is housed in a building constructed according to energy-efficiency principles and with the sun serving as the main source of heating. The Volvo Environment Prize Foundation 2006 awardings three North Americans for their work in understanding the human impact on the world’s fisheries and global ocean environment. The great importance of marine ecosystems for humans and life is a natural issue for the prize jury’s assessment. Oceans and seas cover more than 70 percent of the earth and impact on vital areas such as climate regulation, the freshwater cycle, provision of food and maintaining biodiversity. These threatened marine systems also play an increasingly important role as a source of energy as well as for recreation and tourism. The economic benefits from this environment are enormous. More than one billion people rely on fish as their main source of animal protein and as a principal source of fish fat. 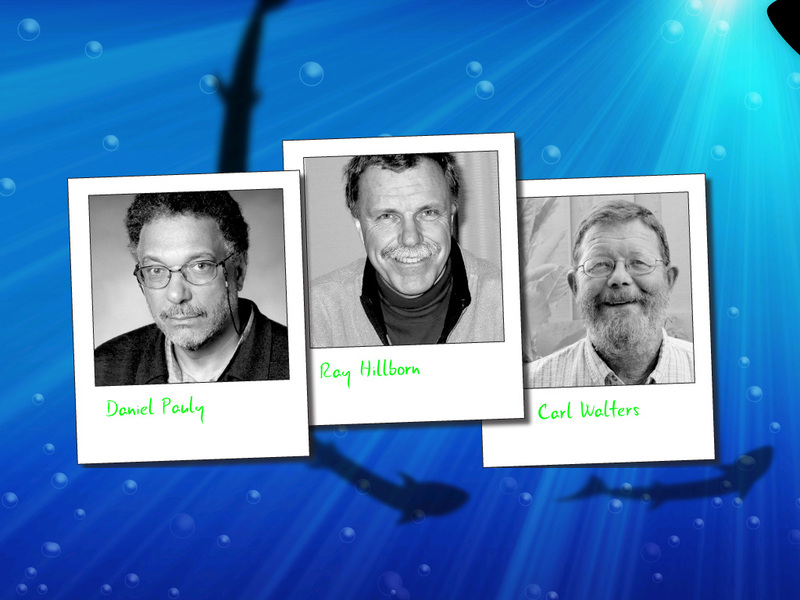 The three scientists are being recognized for their concepts, methods and models for assessing and responding to the rapidly growing threats to marine ecosystems and particularly for fish resources that sustain human well-being. Their extensive efforts in management concepts for marine ecosystems have contributed greatly to an understanding of the linkages governing marine life. According to the prize jury, they have gone well beyond scientific concepts to address the implications on marine environmental conservation and environmental policies throughout the world. Professor Raymond Hilborn, University of Washington, Seattle, for developing mathematical models for assessing and managing fish stocks, for formulating improved management procedures and approaches and for pioneering adaptive management strategies. Professor Daniel Pauly, University of British Columbia, Vancouver, for such important models and tools as the Marine Trophic Index, the Ecopath Modelling Model, and the global database Fish Base and for his tireless communications with the broad realm of managers, fishers, politicians and the general public. Professor Carl Walters, University of British Columbia, Vancouver, for his brilliant analyses of fishery stocks and harvest management and his seminal writings about adaptive management now widely used by ecologists, other scientists and managers throughout the world. The Volvo Environment Prize for 2005 is awarded to two outstanding conservationists from the southern hemisphere who have made extraordinary contributions to conservation. Their work in these biodiversity hotspots has built strong public support and has enhanced global understanding of the importance of protecting biodiversity. 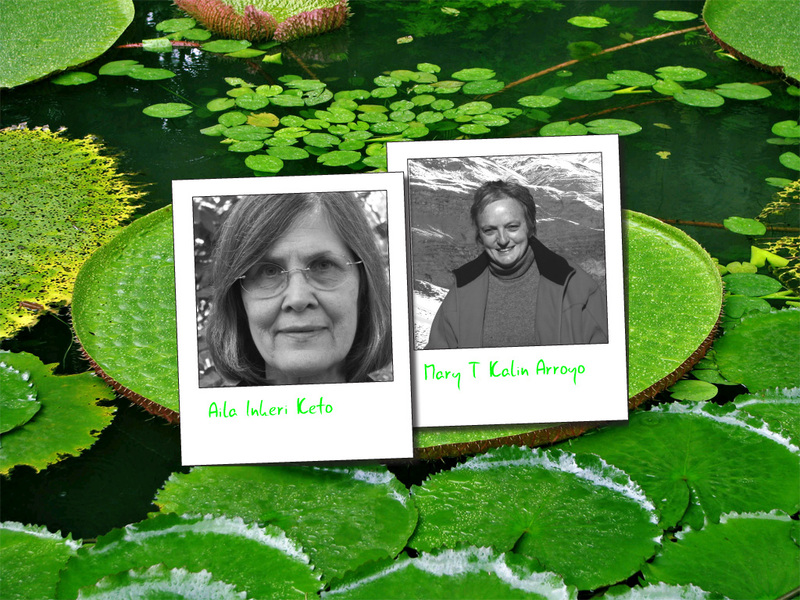 For the first time in the history of the Volvo Environment Prize, two women are sharing the award: Dr Mary Kalin Arroyo who works in Chile, and Professor Aila Keto whose work takes place in Australia. Dr Mary Kalin Arroyo is a professor of biology at Universidad de Chile. She has combined research on the reproductive systems of plants with the study of complete communities and applied this information to conservation. Her studies have led to the design of an improved system of protected areas in Chile, one of the world’s most important biodiversity regions. Professor Aila Keto has worked since 1982 as President of the Australian Rainforest Conservation Society to build support for the conservation of the natural heritage of Queensland. As a research scientist, she has identified numerous natural value in the rainforests of Queensland. She has made important contributions to at least three World Heritage Sites in north-eastern Australia. Professor Keto’s work led to the protection of more than 1.5 million hectares of Queensland’s rainforest. The Volvo Environment Prize 2004 is awarded to Dr. David Satterthwaite, Mr. Jaime Lerner as well as Dr. Luisa and Dr. Mario Molina. The common denominator for these four winners is that they work with finding measures to counter the environmental problems resulting from rising urbanization, particularly in developing countries. The 2003 Volvo Environment Prize is awarded to two pioneers putting people and their experience in focus. 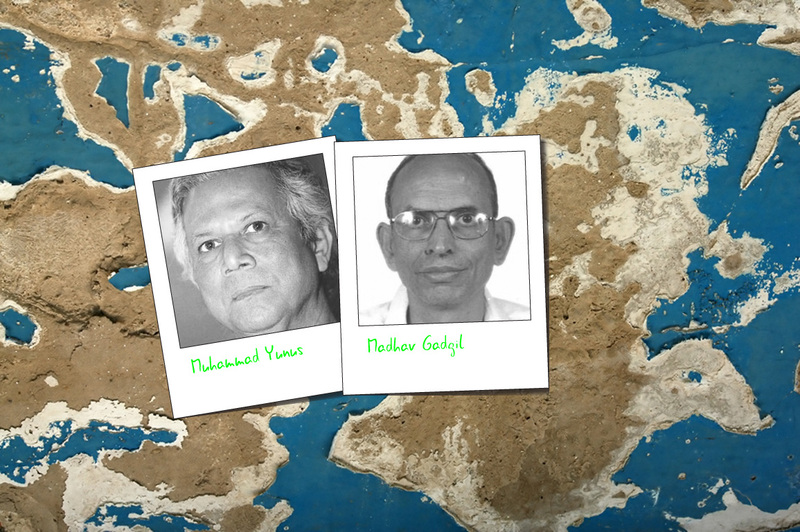 Madhav Gadgil from India and Mohammad Yunus from Bangladesh has each in his respective field created new models for understanding and transforming the relationships between poverty, development and the environment. Professor Madhav Gadgil is one of the world’s leading ecologists and conservationists, a scientist who has done pioneering work in integrating research on biodiversity with the needs of communities and poor people. He has worked to break down the separation between the interests of human communities and the requirements of conservation, and he was the main contributor to the establishment of India’s first biosphere reserve in the Western Ghats. He is guided by firm belief that traditional knowledge of communities is of central importance to scientific research as well as ecological and land use planning. Dr. Mohammad Yunus founded the Grameen Bank in 1983, an untraditional way of giving small credits to villagers, especially women, who would never qualify for commercial credits. These small loans helped people to set up a small business from which they could earn money, and pay back at very high rates, compared to traditional banking. The environmental implications of the Grameen project flow from its impacts on both social capital and women’s empowerment, strongly associated with conservation and sustainable natural resource management. 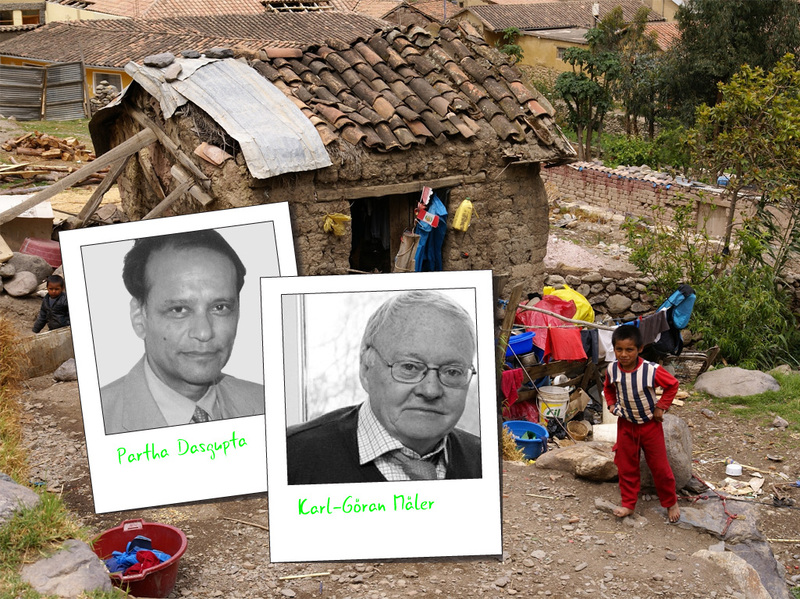 The Volvo Environment Prize for 2002 is awarded to Partha Dasgupta and Karl-Göran Mäler, two economists of international distinction, who pioneered original and outstanding contributions to several strands of environmental and resource economics. Jointly they have worked on property rights, environmental protection, poverty, and the theory for demonstrating a sustainable path of economic development. Mäler´s main contributions include a theoretical basis for estimating social benefits from pollution control; developing general equilibrium theory to include the environment; providing in “the acid rain game” the basis for a major advance in addressing international environmental problems; and helping to lay the basis for proposals for reform of systems of national accounts. Dasgupta´s main contributions include his decisive work on the economics of exhaustible resources, his insights on their role in providing essential ecological services, and his pioneering efforts to better understand the processes of underdevelopment and poverty and their connections to the environment. Their seminal contributions have been of enormous consequence for understanding the relationships between development, environment and poverty and have translated into significant policy advances. The work of Partha Dasgupta and Karl-Göran Mäler mark them as outstanding, innovative social scientists of great vision and determination operating on the frontiers of environmental economics. The 2001 Volvo Environment Prize was awarded to Dr.George M.Woodwell for his pre-eminent and pioneering work addressing questions of how the world works as a single biophysical system with relevance to man,and how to tailor human activities to environmental imperatives.He has been instrumental in forging abundant pathways between ecological research and public affairs. He has participated in the founding of a number of thriving institutions that continue to lead in today ’s world of science and policy. At the same time,he has effectively promoted the environmental cause in political arenas, in the popular press and through other media and through a multiplicity of activities in NGOs. The Volvo Environment Prize for 2001 is awarded to George M.Woodwell, a biologist of international distinction who was one of the earliest to recognize, understand,and point out remedies for several of the most important threats to the global environment from human activities well before his methods and conclusions became generally accepted. His pioneering scientific work on the negative impacts of persistent pesticides,ionizing radiations,and other human induced stresses,and of forest clearance on global warming,as well as his equally pathbreaking activities in science-based public policy development,the founding of two important environmental defence organizations and two celebrated ecosystem research institutes have been emulated worldwide.They mark him out as an outstanding scientist and policy analyst of great vision,courage,and determination,operating well before his time. M. S. Swamanathan is known as the “Father of the Green Revolution in India” , for his leadership and success in introducing and further developing high-yielding varieties of wheat in India. He is the founder and Chairman of the MS Swaminathan Research Foundation. M. S. Swaminathan is an eminent scientist well recognized globally. He has significantly contributed to insight on how to combine agricultural productivity with justified concern for the environment and biodiversity. His research efforts have resulted in measurable contributions to human welfare. By merging modern and traditional sciences in his current endeavors, he is proving that natural resource management is possible and can yield practical results both in the farm and the non-farm sectors, in particular for disadvantaged groups. Professor Swaminathan’s contributions to the agricultural renaissance of India have led to his being widely referred to as the scientific leader of the green revolution movement. His advocacy of sustainable agriculture leading to an ever-green revolution makes him an acknowledged world leader in the field of sustainable food security. Professor M S Swaminathan has been acclaimed by TIME magazine as one of the twenty most influential Asians of the 20th century. The Volvo Environment Prize for 1997 is awarded jointly to Dr. Syukuro Manabe and Dr. Veerabhadran Ramanathan for their pioneering work of outstanding importance to humanity, on how to predict the nature of future changes in the world climate. The findings of Dr. Manabe and Dr. Ramanathan are complementary. When combined, they create a powerful understanding of the factors determining climate change, thus laying strong foundations to formulate action plans for urgent implementation by the joint efforts of the international community including national governments, transnational corporations and the public. The greenhouse effect, climate change, and global warming are terms often heard in the public debate today. The greenhouse effect, that is, the trapping of infrared radiation due to gases in the atmosphere of the earth, is necessary for the existence of a reasonable temperature on the earth. The greenhouse gases are essentially transparent for the incoming short wavelength light from the sun but effectively absorb the radiation emitted from the earth, which has a longer wavelength. The debate and the controversies concern if manmade emissions, especially those from the burning of fossil fuels, will change or even have already changed the climate, and if so to what extent. A related question is if there is an interrelationship between recent extreme climatic events and global warming. The scientific problems are extremely complex due to the great number of influencing factors, their interrelations, and different positive and negative feedback mechanisms. Lovelock’s scientific contributions, beginning with his early work in the medical sciences, is particularly rooted in two, as it would first appear, unrelated scientific fields: instrumental engineering and biochemistry. An important part of his work has been inventions. In total, Lovelock has filed more than 30 patents, mostly for detectors for use in chemical analysis. He worked with NASA in their preparations for the first lunar landing. NASA wanted Lovelock to design a device to detect if there might be substances dangerous to man on the surface of the moon. It was while working as a consultant for NASA that Lovelock developed the Gaia Hypothesis, for which he is most widely known. Lovelock invented the electron capture detector, which ultimately assisted in discoveries about the persistence of CFCs and their role in stratospheric ozone depletion. After studying the operation of the Earth’s sulfur cycle, Lovelock and his colleagues developed the CLAW hypothesis as a possible example of biological control of the Earth’s climate. Rachel Carson’s book Silent Spring in 1962 had a massive impact on the environmental debate and movement. It is not equally well known that James Lovelock’s invention the Electron Capture Detector was used by scientists to reveal the core information, on the distribution of pesticide residues and other halogen-bearing chemicals, of the book. Lovelock is an independent scientist working out of a lab in Cornwall, England, that used to be a barn. For years he has been sounding the alarm on climate change. Paul R. Ehrlich is Bing Professor of Population Studies and professor of biology at Stanford University and a fellow of the Beijer Institute of Ecological Economics. Starting in the mid 1960s, Ehrlich has been a very productive author of professional papers and popular articles on different aspects on humankind’s environmental predicament. Ehrlich has been tireless in presenting both to the scientific world and to the general public and politicians his well-founded concern for our common future. He has worked through popular presentations, scientific papers, and hundreds of lectures. He has focused on questions of environmental degradation, natural resource limitations, population growth, and development processes, especially highlighting the interface between scientific enquiry and societal values. 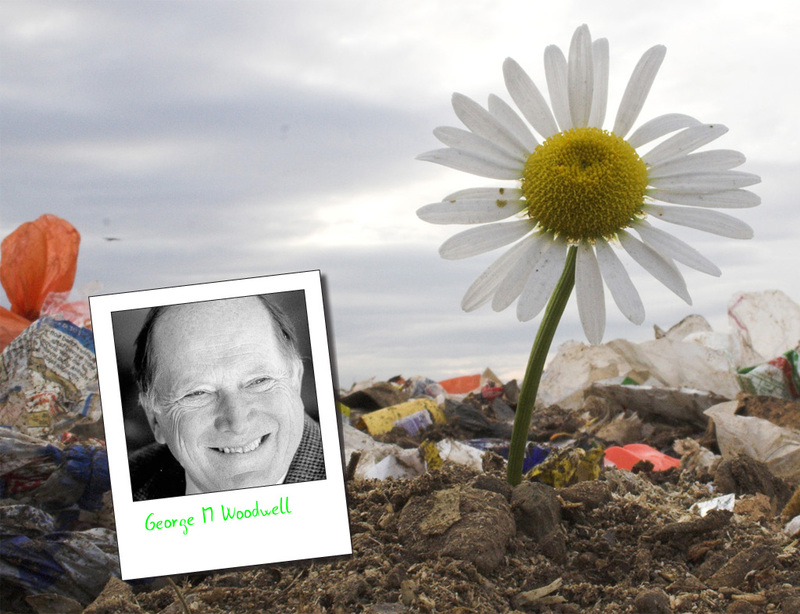 He has taken the environmental cause into the wider public sphere through frequent appearances on television and radio. He is also an active leader in a number of non-governmental organizations and citizen groups. His well-known book “The Population Bomb” from 1968 has sold more than 3 million copies and been translated into several languages. The concept of the book was that the excessive population growth is inseparably connected with natural resource depletion and environmental degradation. These are three interlinked problems that can only be confronted together. In 1968, this was a very radical idea. The Popular Explosion: This sequel to Paul Ehrlich’s 1968 landmark best-seller The Population Bomb examines the critical choices we face today and proposes an agenda for the 1990s to avoid global ecocide. The Population Explosion vividly describes how the Earth’s population, growing by 95 million people a year, is rapidly depleting the planet’s resources, resulting in famine, global warming, acid rain, and other major problems. The Dominant Animal: In 2008 Paul and Anne Ehrlich publiched “The Dominant Animal” that explores why we are creating a world that threatens our own species and what we can we do to change the current trajectory toward more climate change, increased famine, and epidemic disease. Ehrlich has been frequently criticized for venturing into professional fields other than that of his background training, and his research findings have been hotly contested by his professional peers on numerous occasions. But his conclusions have been confirmed through experience until they have become part of mainstream scientific thinking. For instance, The Population Bomb was roundly criticized at the U.N. population conference in Bucharest in 1974, but its message was broadly accepted at the next population conference in Mexico City 10 years later. The Prize of 1993 is awarded to an evolutionary biologist, Professor Paul R. Ehrlich, and an anergy resources scienstist, Professor John P. Holdren, for their outstanding and pioneering contributions to our understanding of the threats to human development and survival, particularly those arising from the rapid growth of populations in developing countries and of the high level of per capita resource consumption in industrialized countries. Sixty years ago, the world population was slightly above 2 billion people. When Holdren and erlich recieved the Volvo Environment Prize it was approximately 5.5 billion. As of 26 September 2009, the Earth’s population is estimated to be 6.8 billion. The majority of the present population and by far the majority new children being born live or will be born in developing countries with low per capita consumption. In the industrialized world we are a little more than 1 billion people with a very high per capita consumption, and it has been increasing over a long period of time. The total resource consumption of the few in the industrialised world is much higher than that of the many in the rest of the world. The effects of this are no longer either small or local. The industrial world makes its enormous natural resource demands with its unacceptable environmental effects. The developing countries its population problems and poverty leads to degradation of the environment. Two individuals who have greatly contributed to the scientific work and the broad understanding behind this are our two laureates, Paul Ehrlich, biologist, and John Holdren, nuclear physicist. Their work has laid the foundations of our understanding of how the dynamics of population growth, rising living standards and changing technology, as well as the relationships among them, interact in the context of environmental problems. The Prize was awarded to Dr. Norman Myers and Professor Peter H. Raven who between them used comprehensive and penetrating scientific analysis of ecological states and trends and made pioneering warnings and courageous expressions of concern which have sensitized world opinion to the global consequences of the loss of biodiversity and the process of deforestation, particularly in tropical regions. Now we know from a long time back that many species that have existed on earth have become extinct. We also know that the extinction is often caused by the actions of man. It was, however, not until relatively recently that it has become obvious to the general public that the rate of extinction is very high and that this definite loss of species has unforeseeable consequences. Norman Myers was the first scientist to alert the global community to tropical deforestation, an impending mass extinction, and environmental security. Myers has served in the Kenya Administration and as a teacher in Nairobi. He has for 20 years mainly acted as a freelance consultant in the field of nature protection and conservation of biodiversity. He was fairly recently appointed Andrew D. White Professor-at-Large at Cornell University, Ithaca, New York. Otherwise, he does not hold a permanent position within the academic or economic establishment, but has always been able to act free from ties to institutions and companies. Several of Myers’ early scientific papers, from the mid-1970’s and before, deal with the biology of the great spotted cats. This early, Myers also warned for the imminent loss of biodiversity as a result of the devastating activities of man, in particular in the tropics. From the late 1970’s onwards his papers, books, and lectures have more and more included matters of biodiversity. – Species preservation strategies / biodiversity hotspots (late 1980s). Myers defined a number of “hot spots,” where species richness is particularly high and where the threat to the survival of plants and animals is impending. Examples to be mentioned are Madagascar, southern Africa, and parts of Brazil. Myers’ well-documented studies form part of the basis for the action programmes of many countries within the field of protection of the environment. Myers support to the Forests Now Declaration, which calls for new market based mechanisms to protect tropical forests. He is a patron of the Optimum Population Trust. He is a Foreign Associate of the United States National Academy of Sciences, NAS. Raven was an early bird. He published his first paper, containing floristic notes, in 1950 at the age of fourteen. He soon contributed extensively to scientific journals. In the late 1960’s, he started getting involved in matters concerning human population growth and food support and concerning the conservation of biodiversity. This has not in any way caused the flow of publications in pure science to abate. Raven is Director of the Missouri Botanical Garden which has developed under Raven’s guidance to become one of the very foremost institutes in the world for botanical research, horticulture, and public information. A visitor cannot avoid the message of concern for biodiversity even at a first superficial glance. If one penetrates further into what is demonstrated, one becomes deeply impressed by the scientific activity going on. Here, the plant world of virtually the entire globe is under investigation. The Garden is, under Raven’s directorship, utterly effective in providing the community with information and argument for the maintenance of our environment and ourselves. Raven was a member of President Bill Clinton’s Committee of Advisors on Science and Technology. He also served for 12 years as home secretary of the National Academy of Sciences and is a member of the academies of science in Argentina, Brazil, China, Denmark, India, Italy, Mexico, Russia, Sweden, the U.K., and several other countries. 1. In your opinion which are the major scientific breakthroughs within the field of sustainable development during the last 20 years? The theories that were developed to explain the polar stratospheric ozone hole were confirmed by measurements. 2. What do you predict/hope will be the most important scientific progress of the future? A better understanding of the processes, which lead to climate change, especially in the polar regions. 3. What is the single most important sustainable challenge right now? What will be the outcome of the Copenhagen negotiations regarding ‘global change’. The 1991 Prize was awarded to Professor Paul Crutzen of the Max Planck Institute of Chemistry in Mainz, Germany, one of the world’s leading research scientists in the field of atmospheric chemistry. Professor Crutzen has achieved this eminence by undertaking a series of major research projects over a period of more than 20 years, including studies of ozone layer depletion and the greenhouse effect. He was awarded the Nobel Prize in Chemistry in 1995. Professor Crutzen was awarded the Prize for an outstanding ability to identity and elucidate critical features governing the chemical behaviour of the atmosphere. He has shown great ability to excel in a wide scope of interrelated researh activities in topics relevant to atmospheric science. Paul Crutzen, has made pioneering work for our understanding of ozone formation and destruction in the atmosphere, how it affects the green house effect with a potential risk for global warming and the ozone layer in the stratosphere, leading to increased ultraviolet radiation on the earth surface and thereby increased risk for cancer and damages to the microbial life in the ground. He has also studied how sulphur emissions affect the climate and the formation of clouds. In 1982 Paul crutzen pointed out that a nuclear war might cause extensive fires with accompanying disastrous effects on the climate of the earth. The smoke from the fire is expected to efficiently shield the lower parts of the atmosphere and the surface of the earth from a large fraction of the sun radiation. This will cause a drastic cooling which we know under the name “nuclear winter”. Four years after being a Volvo Environment Prize laureate Paul Crutzen was awarded the 1995 Nobel Prize in Chemistry together with Mario Molina (Volvo Environment Prize laureate of 2004) and Sherwood Rowland “for their work in atmospheric chemistry, particularly concerning the formation and decomposition of ozone”. 2006: He caused a stir with the publication of a paper in 2006 suggesting that injecting the common pollutant sulfur into the stratosphere some 10 miles above the earth could snuff out the greenhouse effect. He believes that dispersing 1 million tons of sulfur into the stratosphere each year, either on balloons or in rockets, would deflect sunlight and cool the planet. Scientists observed that world temperatures dropped by 0.5 degrees centigrade on average when Mount Pinatubo in the Philippines erupted in 1991, spewing sulfur dioxide into the atmosphere. 2008: Atmospheric scientist Paul J Crutzen said clouds gathering over the world economy could ease the earth’s environmental burden. Paul Crutzen will attend a seminar at Chalmers Technical University 2 November 2009 together with this year’s laureate Dr Susan Solomon a former graduate student of Crutzen´s. More information about this seminar will be posted later. Starting September 8, 2009. 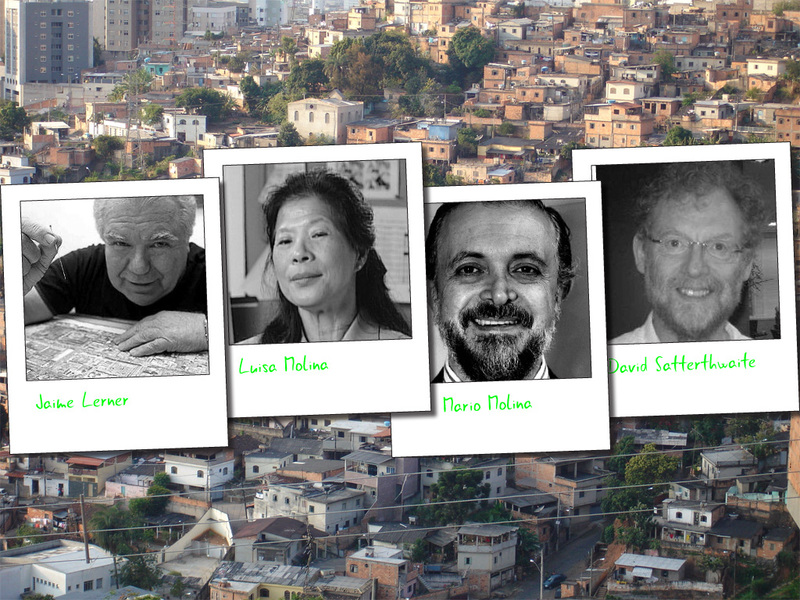 Volvo Environment Prize will present its 36 distinguished laureates.